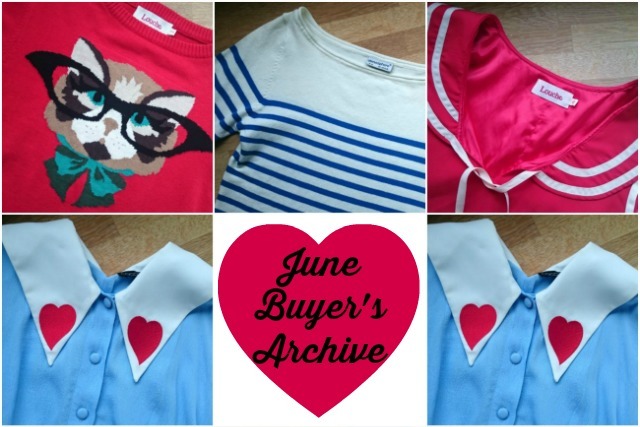 Each month, I’ve enjoyed discovering what Janet and Elise have bought in their monthly series, The Buyer’s Archive. In a bid to buy only what they need and spend wisely, they each chronicle every item bought. I’m curious to compare that with what I buy and of course, our total spends. 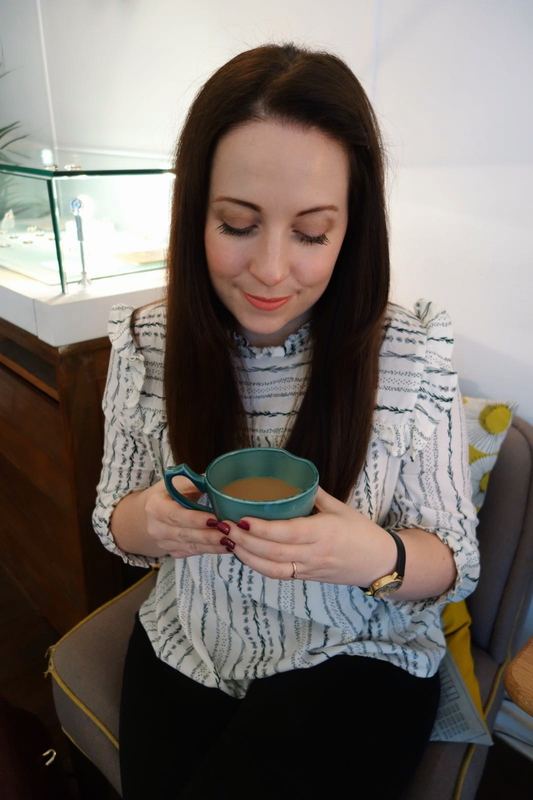 Whilst I’m in no doubt that I can buy excessively, I like to think that I buy what I need, what will last and invest in quality pieces (even if I have started my winter shopping!) As June marked my last month of living on a teacher’s wage, I’ve decided to join in and begin my own Buyer’s Archive. Partly out of morbid curiosity, but mainly to prove the conviction that style can be affordable. I thought I’d spent wisely in June. I bought clothes that I love, fit well and to prove their value, I’ve worn them lots already. However, I wasn’t prepared for just how much I bought; every time I went into my dressing room, I found more. On a brighter note, during June, I sold a lot of unwanted clothes on my Instagram selling page. I was sensible with the majority of profit, choosing to save it towards July’s household bills. Ever since I watched ‘God Help the Girl’, I’ve been obsessed with reviving my nautical love affair (documented, here). 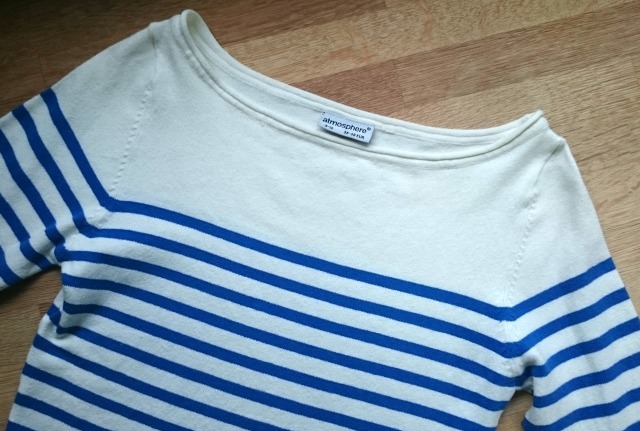 Thanks to EBay, my love of nautical is now alive and well. 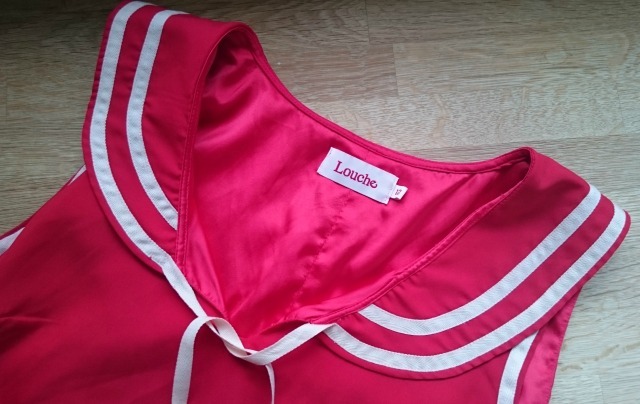 I stumbled across this Louche dress quite by accident. I watched stalked it for days, until I was the winner! Including P&P, I took a punt at £10. 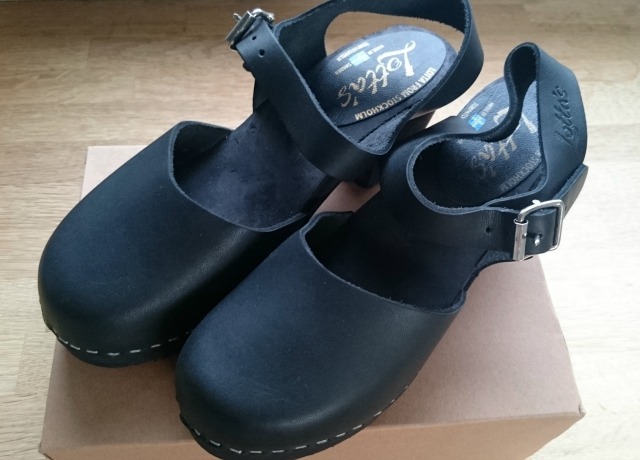 With a small amount of the money I made, I chose to buy invest in a pair of black leather, dark soled clogs from a seller I found on eBay, Jules. Mistakenly sending me the wrong pair, Jules compensated me for the effort taken to return the incorrect pair. Including post and packaging, these leather shoes cost £32. I already own a beautiful watch. It’s by Olivia Burton, made of leather and I’m too scared to wear it every day incase I ruin it. So, I decided to try and find a cheap watch and here’s what I found. 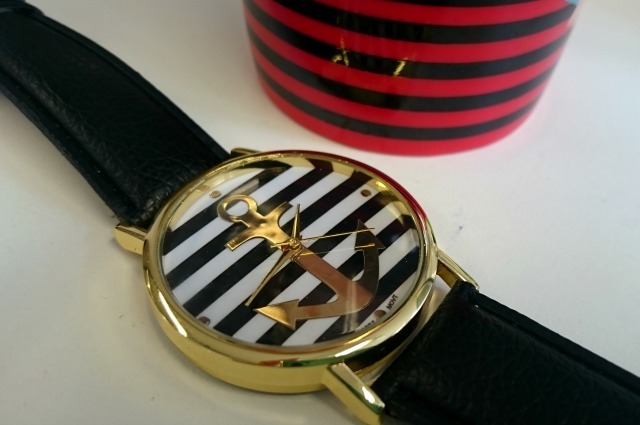 This nautical watch cost £1.19 and arrived quicker than I expected considering it came from China. Two weeks in, it’s still ticking! Before you think it, I’ll start by saying I found this highly coveted dress in a Manchester charity shop one Friday after work. 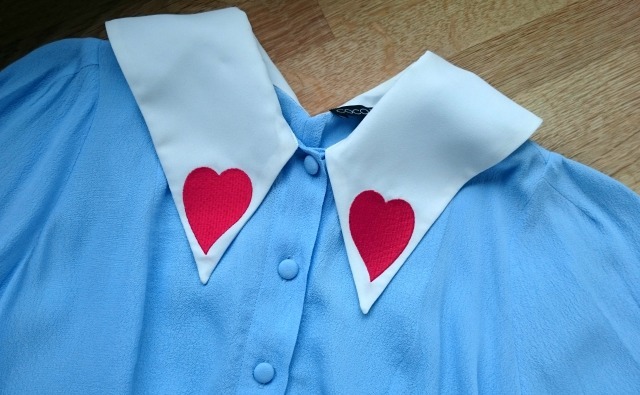 I couldn’t believe my luck when I spotted the trademark heart embroidered collar nor the label depicting, ‘Coco Fennell’. Weeks previous, I’d been practically drooling looking at the website. At £6.99, it’s probably one of the most expensive charity shop dresses I’ve ever bought, but probably my biggest bargain yet*. 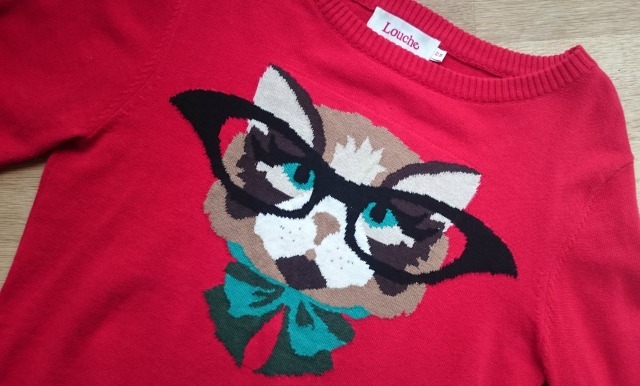 On the same day, in the same shop, I found this geeky cat jumper. I recognized it immediately as that Modcloth jumper I loved, but refused to pay customs on moons ago. Although it’s not something I’ll wear in summer, it’s something I can see myself wearing in December (I’m envisioning a polka dot skirt, Peter Pan skirt and cute pumps!) Needless to say, it came home with me for £4.99. I spent an entire Sunday trawling The Arndale centre looking for a chambray knee length skirt. I grew frustrated after hours of searching and gave up when the closest I could find was £40 and still not right for me. The following week, I stumbled across this skirt in a St Helens charity shop for £3.99. It was only when I got it home I realised it was Tommy Hilfiger. Who doesn’t love polka dots? With this warmer weather, I’ve been living in midi skirts as they’re just so comfortable. 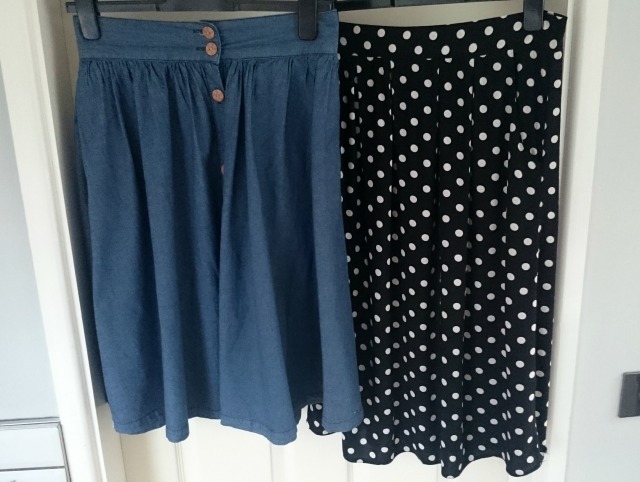 This F&F midi skirt has been perfect for wearing with a t-shirt for those hotter days. It was reduced. £16 to £4. Come on, who doesn’t love Breton? I can’t resisit it. My wardrobe is overflowing with striped jerseys, but a thin knit jumper I don’t have! I found this on a car boot, brand new with tags for £1. Sure, it’s probably from a few years ago, but the blue is just so cheery! Ideal for September. Janet spent £39.98 and Elise spent £10.60. Whilst I’m in no doubt that I found bargains for my £64.16, I’m also left with no doubt that I bought things that will last and that I love. *My biggest bargain yet is a bold claim I make on a monthly basis.